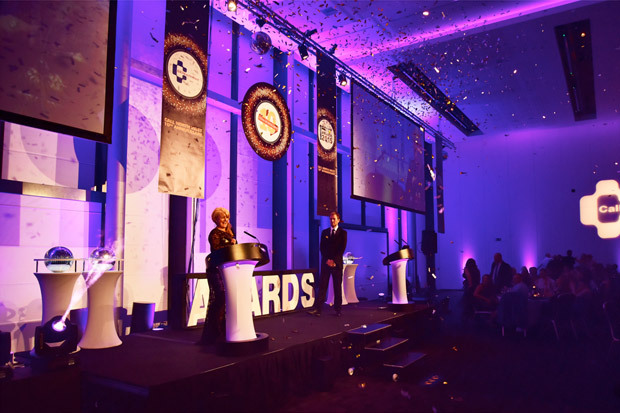 The 10th annual Call North West Contact Centre Awards took place at The Point in Manchester on Thursday 22 October. More than 350 guests attended this black-tie ‘All that Glitters’ Awards gala dinner and as well as the awards ceremony and presentations guests were entertained by Comedian, Alun Cochrane and danced the night away to The Hooper Band. It was a truly fabulous evening. The 2016 Awards will open again for entries in the Spring.